Sanctuary Inter/rupted, a group exhibit that interrogates the possibilities and contradictions of Toronto’s “sanctuary city”. 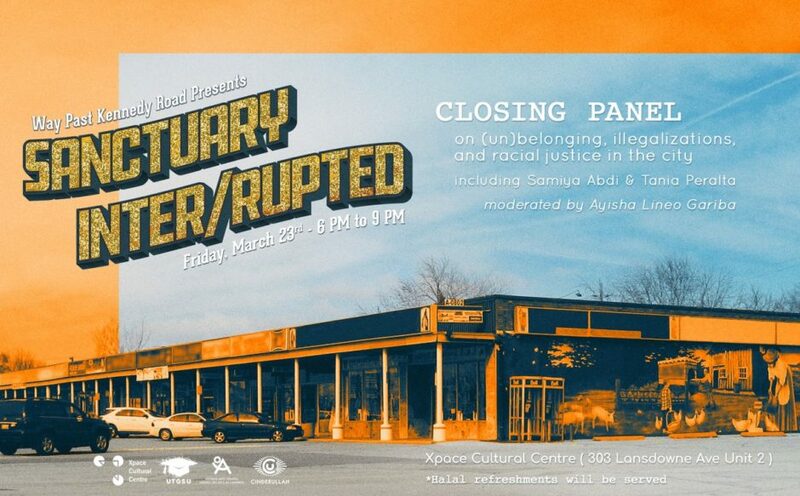 Through photography, illustration, mixed media, and video installation the artists and curators extend a conversation on “legal” and “illegal” and belonging and (un)belonging in Toronto. on the histories and futures of racial justice in the city, we will be hosting a closing panel discussion with individuals who challenge ideas of sanctuary through their work. Tania Peralta is as founder of Peralta House and author of “Coyotes”, a collection of short stories and free verse poetry that explores illegal immigration and childhood trauma. Samiya Abdi is a health promotion consultant, a member of Fight the Famine Toronto, and founder of Aspire2Lead, a mentorship and networking group for young Somali professionals. Ayisha Lineo Gariba is an 18 year-old filmmaker, photographer, illustrator, graphic designer and founder of The Bacon Berry Cards Co., originally from Ghana and Lesotho. 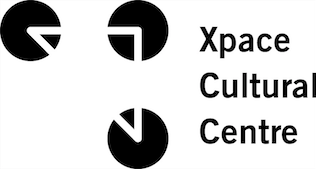 Xpace Cultural Centre is a physically accessible venue. This will be a scented event, and there will be no childcare available. To inquire about additional accessibility accommodations, feel free to reach out to Mitra (mitrafs at hotmail dot com) or Jessica (jessicapaulinakirk at gmail dot com).